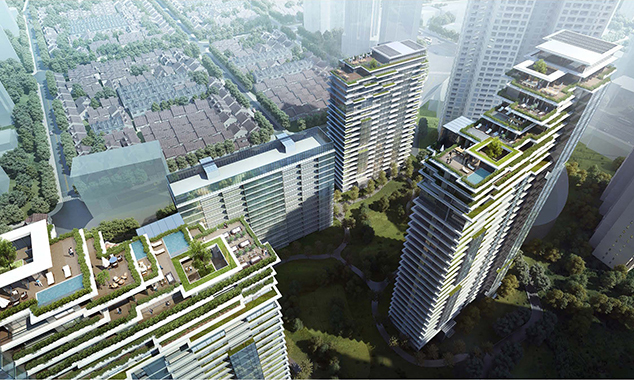 EID Architecture looks to the traditional side of Shanghai when designing CITIC Pacific's high-riseresidential neighborhood. 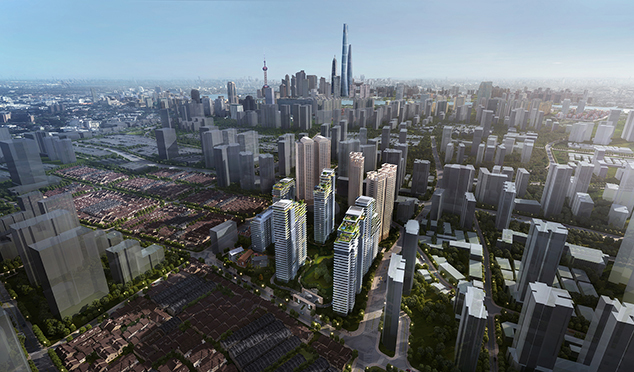 The Shanghai downtown area will see six new residential towers and amenities through the development. 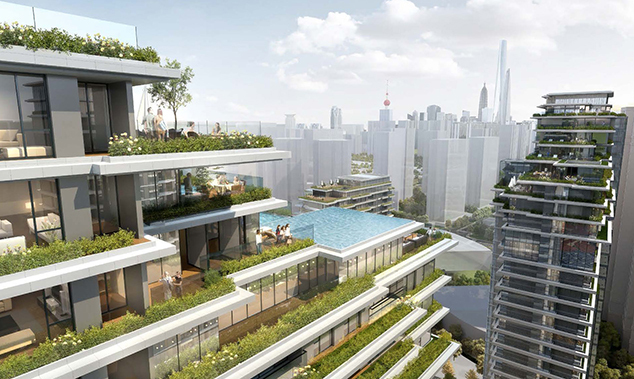 Designs for the building encourage social interactions through itsamenities, which include leisure facilities, a spa, meeting and conferencespaces, and roof gardens overhead. Undulating terraces on the top of eachbuilding promote a sense of community in addition to responding to the site's preservation of sunlight. In vast contrast to neo-classical residential towers often seen in China, CITIC Pacific Residence aims to create a residential design sensible to the site and its context. It is unique and memorable, reflecting the ethos of evolving city of Shanghai, said Ping Jiang, AIA, Design Principal of EID Architecture.